This versatile walking shoe is a long-time SAS customer favorite. A removable footbed, TRIPAD® Technology, added depth for extra toe room, and a soft sole for shock-absorption help keep your feet in blissful comfort. SAS EZ Lace system allows laces to slide easily for even tension across the instep. Free time is available in five widths for even the most challenging fit. Designed to fit and follow the shape of your foot and made on an exclusive SAS Walking Shoe Last. 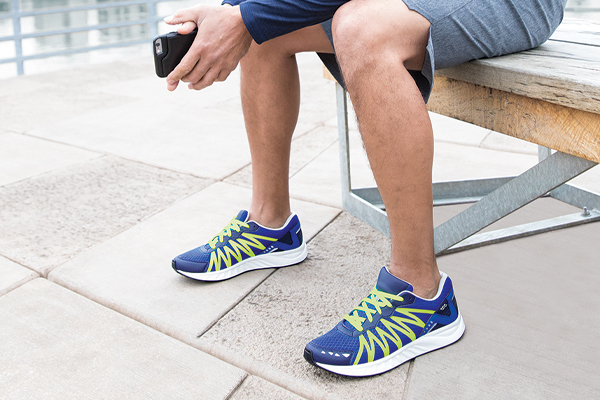 SAS Tripad® Technology gives all-day comfort. Initial fit should be wide enough to stay very comfortable across the ball of the foot yet roomy enough in the front so the toes are not cramped. The heel should be snug and should not slip while walking.